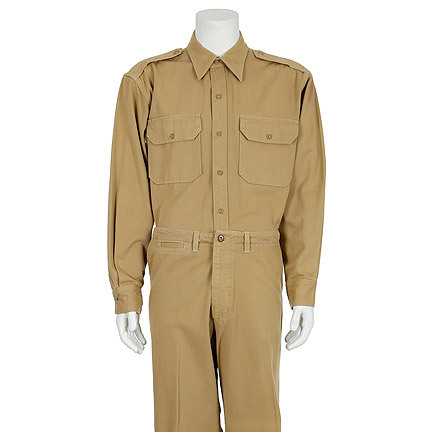 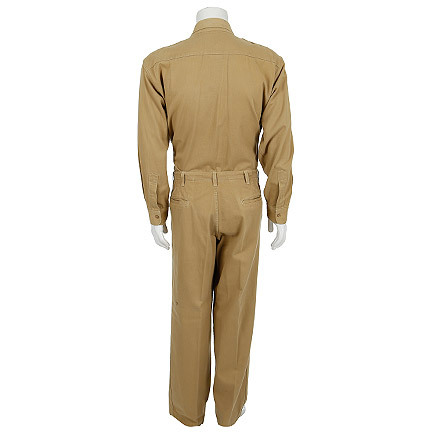 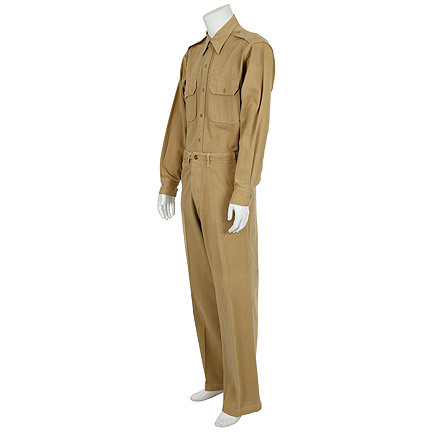 This set of WWII era U.S. Army Air Corps Officer’s Chinos were worn by the character “Lt. 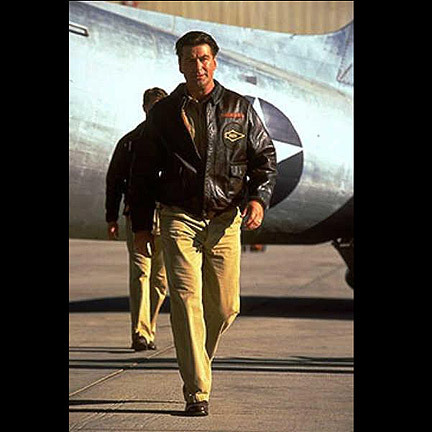 Col. James Doolittle” portrayed by actor Alec Baldwin in the 2001 Jerry Bruckheimer production “Pearl Harbor”. 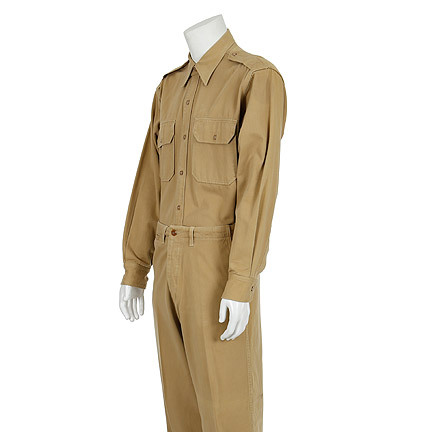 The outfit consists of a khaki long sleeve shirt and matching khaki pants. 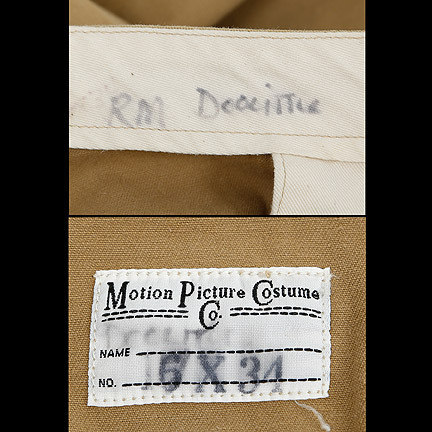 The interior of the shirt has the original Motion Picture Costume Company label sewn inside with the character name “Doolittle” handwritten in slightly faded ink, and the pants also have the character name “Doolittle” handwritten inside of the waistband. 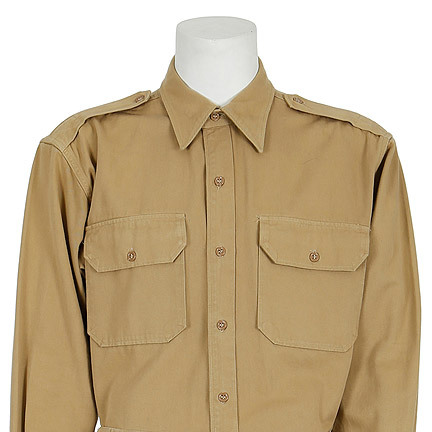 Mr. Baldwin wore the shirt during the sequence when Doolittle and his airmen prepare for the daring top-secret mission to bomb Japan, and can later be seen wearing both garments towards the end of the film when he and the other surviving pilots return stateside after the mission has been completed. 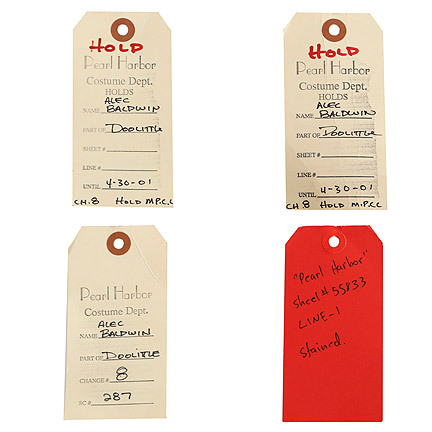 “Pearl Harbor” won an Oscar for Best Sound Editing in 2002 and received numerous other nominations including Best Effect, Visual Effects, Best Music, Original Song, and Best Sound. 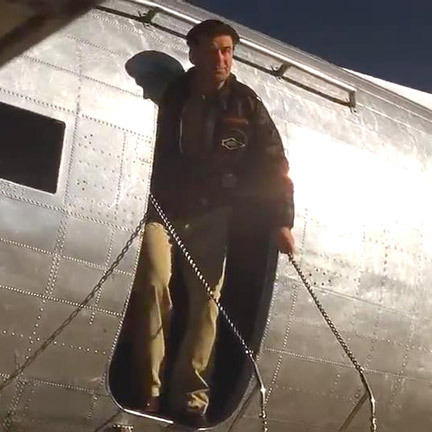 The film featured an all-star cast including Ben Affleck, Josh Hartnett, Kate Beckinsale, Cuba Gooding Jr., and Jon Voight. 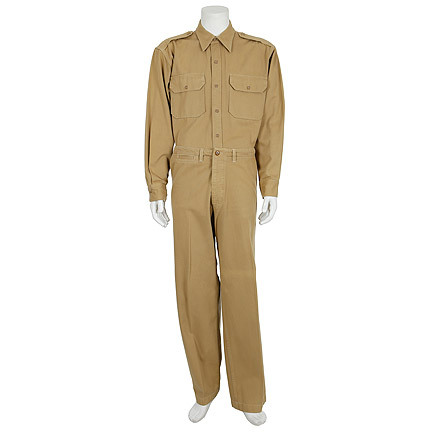 This wardrobe was acquired directly from the costume house that provided it to the production and is in good screen worn condition. 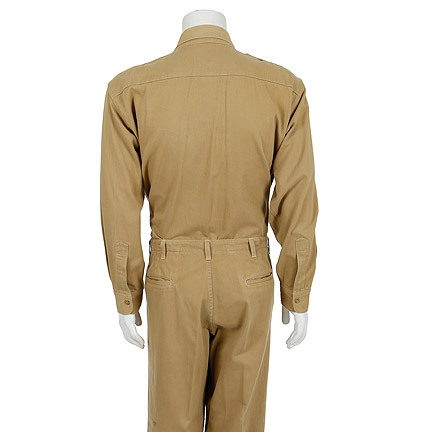 Accompanied by a letter of authenticity.